Are You Leaving Easy Catering Money On The Table? Last week we had an overwhelming response to my Cater or Die webinar. We had two special guests, Frank D’Antona and Kyle Agha. These two members joined, just as I was starting publication of my newsletter, The Restaurant & Catering Power Marketing Letter; now into its 9th year. They were very generous with their time and knowledge sharing what has helped them build their catering profit centers. At the end of the webinar, I made available free catering menu critiques for new members. My calendar is getting full with new members scheduling this valuable one on one time. The other day I was conducting one of these catering menu critiques with a woman who owned a deli. I saw something on her menu, which was keeping her from making the easiest of all catering money. In fact, I see this mistake on most catering menus. It was the lost profits from drink sales. No. I’m not referring to up-selling drinks. Just like grocery stores figured out long ago how to sell impulse items, you must know how to maximize your catering profits on drink sales. Now some people sell cans of soda and/or bottles of water. Though it is simple, you’re profit is limited. Other members sell drinks by the gallon or two-liter. Obviously, fresh brewed tea sold at $5.99 a gallon will yield you a nice profit. But can you make more money? Let’s do a little of my favorite math; money math! A gallon of tea (or lemonade or fruit tea) will take care of 8-10 guests. That comes out to a per guest charge of 59 cents to 75 cents. The light bulb always goes off in a member’s head with my suggestion to make easy catering money from drink sales. Whether you get $1.25, $1.49, $1.79 or $1.99 per guest for your drink pack is dependent on your market and your drink. A homemade fruit tea or lemonade will command a higher per guest charge. It will also give guests one more reason to use you. By going to this per guest pricing for drinks, you can add a lot of profit by only adding a few low cost items…your guests need any way. Psychologically, $5.99 for a gallon of tea sounds high to me. $1.25 a guest for drinks doesn’t even make me think twice. Sales is part math, part psychology and part emotion. Don’t believe me? Just go back up four paragraphs and reread the free sales script I gave you for selling drinks. I was able to upsell a ton of drinks by painting a picture my prospect did not like. Who wants to be carrying in two-liters and bags of ice? We’ve all experienced the two liters falling to the ground as the cheap plastic grocery sack splits from the weight. Now if you think my psychology is manipulative, you’re coming from the wrong place. In my heart, I believe offering my clients drinks not only provided a great product, but a greater service. I was selling a hassle-free event. 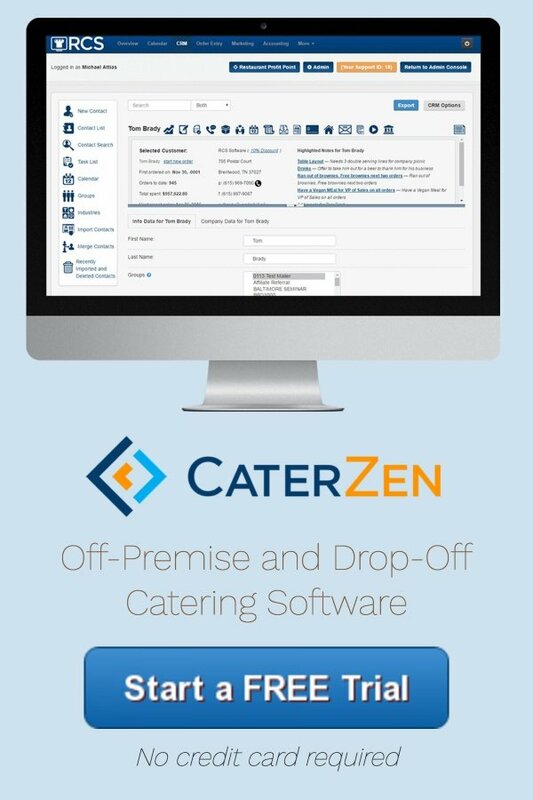 If you missed the Cater or Die webinar, you missed a lot of other great ideas to develop a catering menu. And that was just the tip of the iceberg. 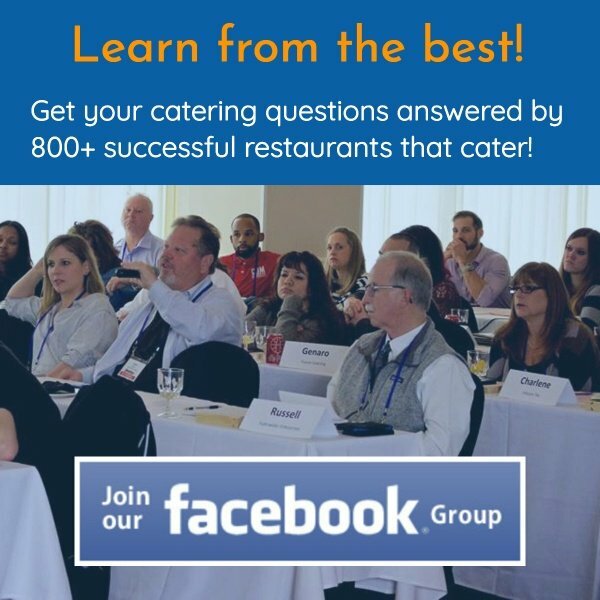 Frank, Kyle and I shared a ton of other great strategies to help you build catering sales. As a result of many people not being able to make the Cater or Die Webinar, I am offering a replay until this Monday night, February 6th. Please don’t dilly-dally. Even if you never become a client, you’ll want this information. By the way, if you are interested in getting a one hour catering menu critique scheduled with me, please call Meredith in my office at 615-831-1676. At $250, it is a bargain (higher for franchisors and large chains). Everyone who’s gone through this process has walked away with a menu template to make them way more than this small investment. The drink pack example above is just a small example.